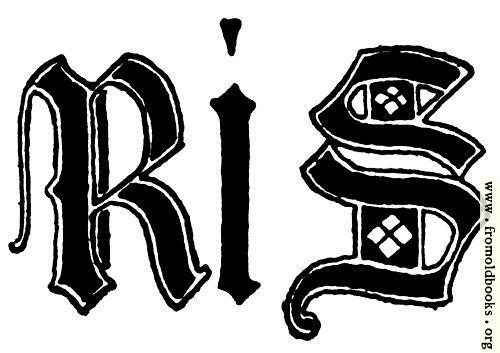 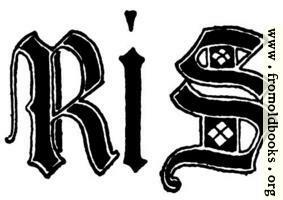 Black-letter (Old English) inital letters “R” and “S” from English gothic Letters, 15th Century. They appear as part of the phrase “Tomb of Richard Second” and are not repeated in the alphabet. I have left the “i” from “Richard” to give an idea for baseline positioning and relative size.